As if being a girl is not hard enough, maintaining frizzy hair seems to be the icing on top for some of us. You know you have frizzy hair when it takes you double the amount of time it takes for your friends to comb, style, blow dry and iron your hair. Honestly, the struggle we go through just to smoothen out our hair and transform it into perfection deserves a standing ovation, by absolutely everyone. 1. Rain plus humidity equals your worst nightmare! This is a given. I mean your homepage is the weather network. You always check the weather and every time it is supposed to rain you can not help but feel terrified of what is to come after it hits your hair. Goodbye long, straightened hair. Hello again frizzy hair. Then you have to act like it is not a big deal even though you just spent two hours trying to straighten and smoothen your hair and now it’s all gone to waste. At that time you vow to yourself to never leave your house again unless you are 100% certain that it will not be rainy or humid. 2. Your hair can not be tamed. Forget the weather. Let’s focus on the two hours you spent on combing your hair, using a variety of hair products that do not help you nearly as much as they claim. Needless to say, you expect recognition and a lot of praise for your work of art as soon as you step outside. 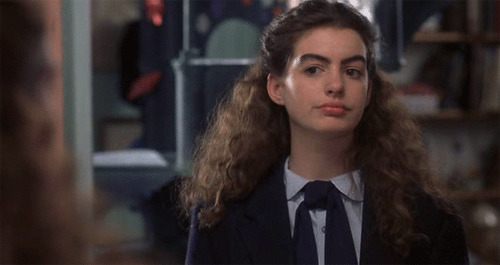 I mean, would other people have been able to turn your frizzy hair into the beauty it is now? The answer is a big fat no! It takes practice, years of practice. So, when people compliment you on the hair, your subconscious does not feel guilty about secretly wanting to hear more compliments. The day just cannot end without you getting a few compliments for your hard work and effort. You deserve a pat on the back girl! 3. Showers are your second worst nightmare. It is not a frizzy haired girl’s shower unless you come out of the shower more nervous than when you went in. That is right, you have got a frustrated head of hair to untangle. Your friends may ask you: “Why don’t you just use some conditioner?” Well, the sad truth is that you do, and you still have trouble untangling your hair. I mean conditioner is a must; it is a necessity. We run out of conditioner faster than we run out of shampoo: that is how much we use it. However, it never seems to be enough. The worst part is that we end up dealing with terrifying split ends as a result of our aggressive hair untangling sessions following our showers. I am not even going to address the difficulty you had keeping your head high in the shower with all that mass weighing you down. Now, you have to deal with a sore neck and split ends. There is not a day that passes by without you having to anticipate the struggle that comes along with maintaining your hair. Whether it is the abusive weather, the expensive hair products or the difficult showers; your hair is almost always a hot mess. But you know you love it! Who else can work that luscious, thick hair better than you?